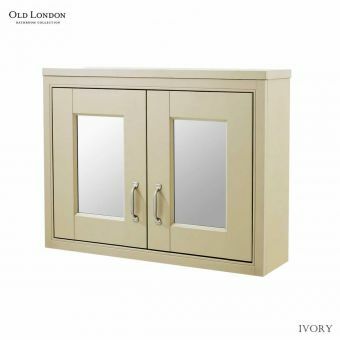 The very popular Richmond and Chancery bathroom suites are the perfect foil for the painted and natural wooden vanity units forming part of a complete storage makeover in a Victorian style. 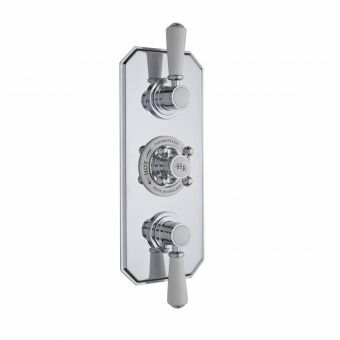 Chrome shower kits with many options and diverters are a perfect match to the roll top baths. 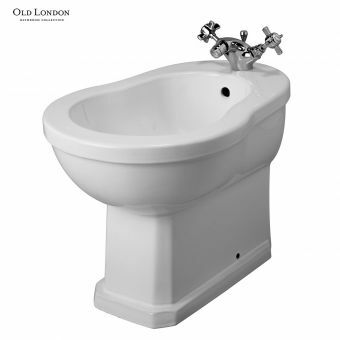 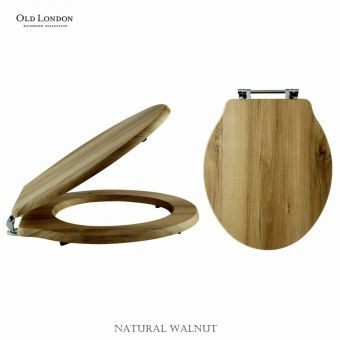 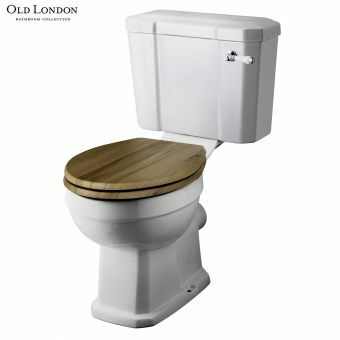 Funtionality and good looks make Old London's WC's the choice of designers and renovation specialists. 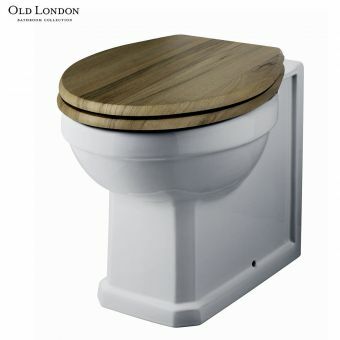 High and low level plus the original close coupled WC are paired with matching seats in hand-painted or walnut finishes to add a stamp of quality. 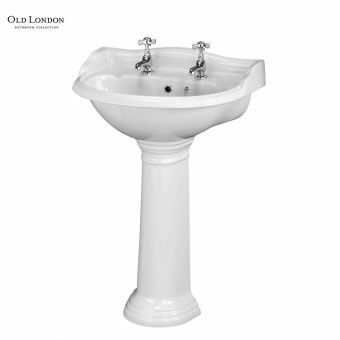 Exuding quality and charm, these period pieces feature fine details and refined contours. 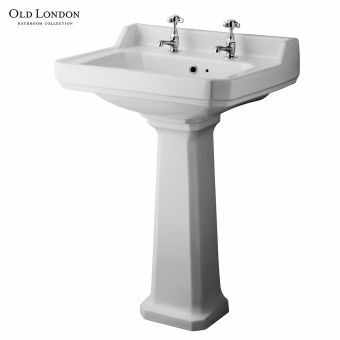 Combining wall hung, corner or even recessed basins with authentic pedestals and traditional brassware ensures a look with timeless appeal. 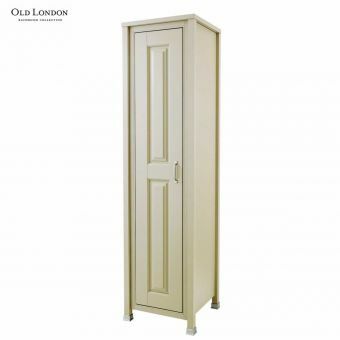 A comprehensive range of hand painted and spacious natural wood cupboards with luxurious proportions. 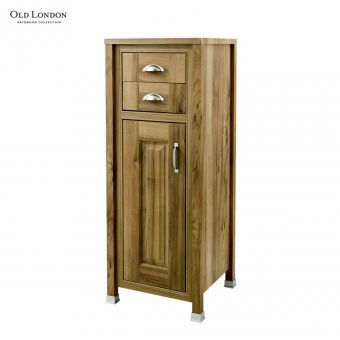 Smooth opening doors and drawers plus meticulous attention to detail cater for every storage need in your bathroom. 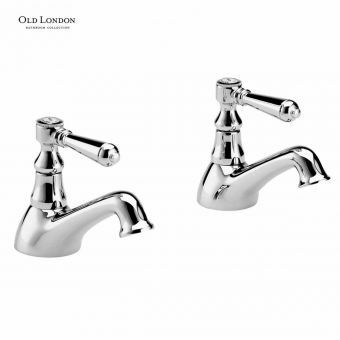 Crosshead or ceramic lever handles, the choice is your and with everything catered for from simply elegant basin taps to bath mixers atopped with elaborate showering handsets, their mirror-like chrome finish will add a touch of visual drama. 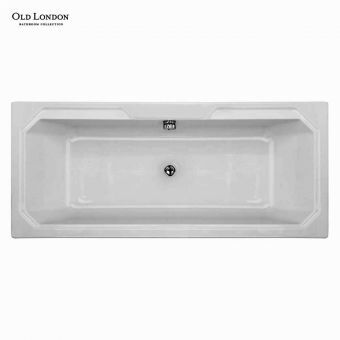 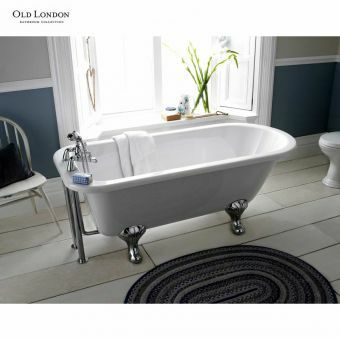 The elegant sculpted lines of roll top and slipper baths has always been the centre of attention in a bathroom. 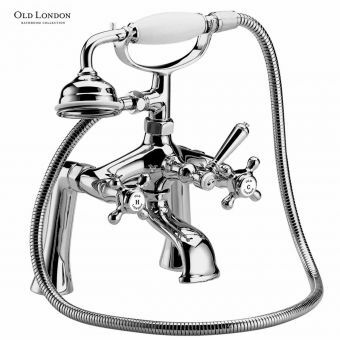 Victorian chrome feet match the glamourous appeal of deck mounted bath mixers with their great vintage looks. 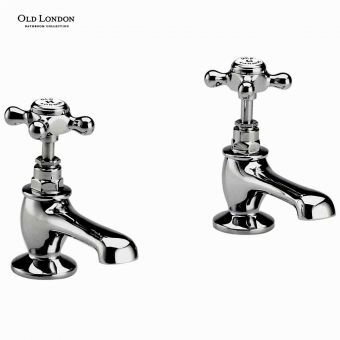 Old London will help you translate your vision into reality with these chrome shower valves featuring traditional ceramic handles. 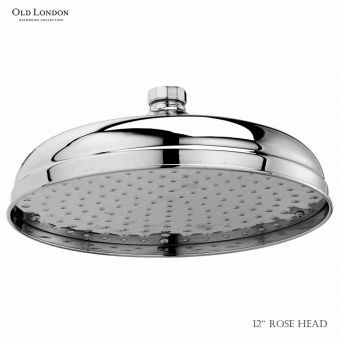 Add an overhead drench rose or telephone handset for a show-stopping look and indulgent bathing experience. 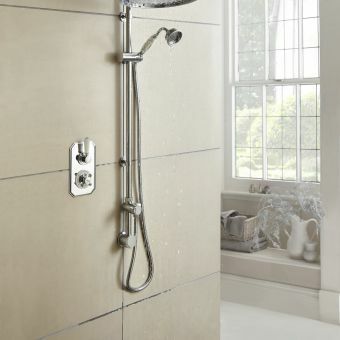 Kepping your bathroom warm has never looked so good. 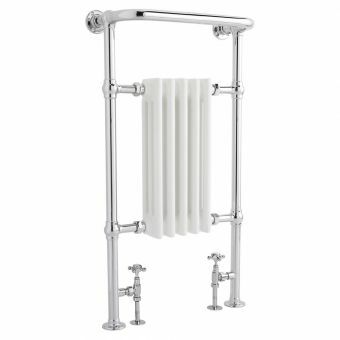 Turn of the century looks combined with modern engineering techniques give these tubular masterpieces a sense of welcoming ambience that will transform your bathroom. 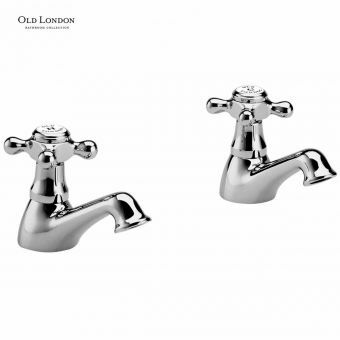 Take a close look at Old London and you will soon realise that they have put a great deal of time into perfecting the feel and atmosphere of a traditional bathroom right down to the tap handles. 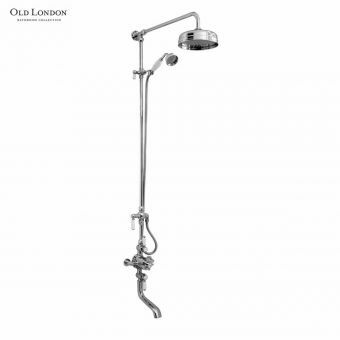 The passion and commitment of the design team at Old London have produced ranges that are distinct but still create a harmonious blend of bathroom pieces from showers to storage. 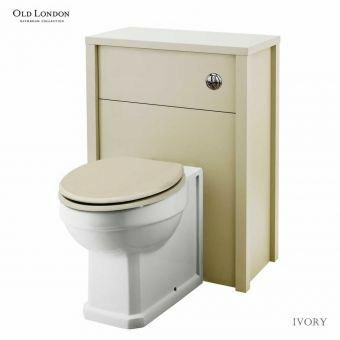 Should you wish to personalise your bathroom, the perfect solutions to install one of their furniture packs which can be supplied in a variety of colours from the muted stone grey to pale ivory plus natural walnut, always a popular choice. 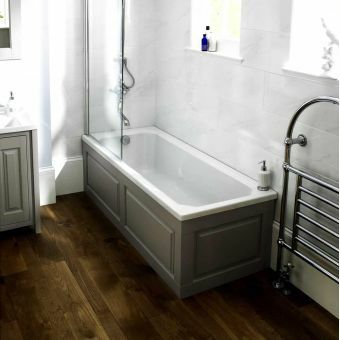 Doors and drawers feature soft closing mechanisms as standard plus bath panels can also be bought to match with your units. 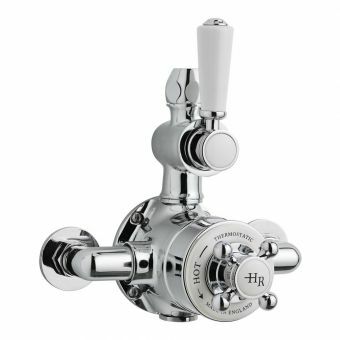 Craftsmanship is not forgotten even though modern techniques streamline production. 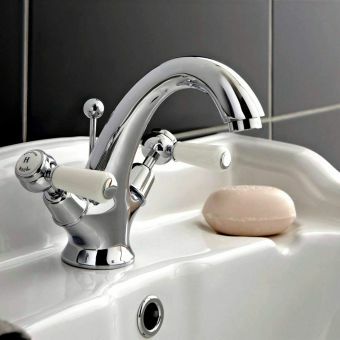 It is unusual to find a manufacturer who has a product range that encompasses everything you will require in your new bathroom. 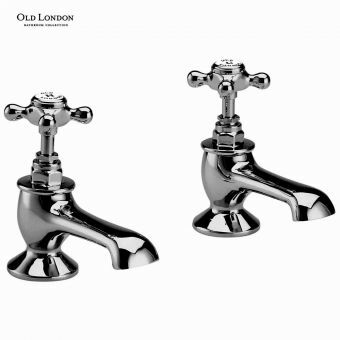 The Richmond and Chancery collections give you the toilets and basins every bathroom needs and taps from the Edwardian and Victorian era finish them off with superlative smooth surfaces in chrome. 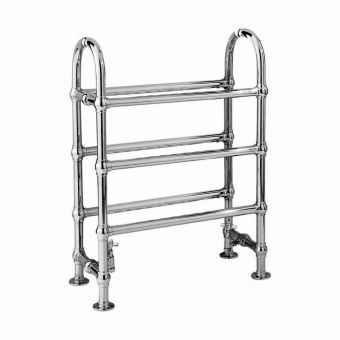 Freestanding roll top baths have become an absolute must have buy for the complete makeover and three styles provide adequate choice, again in sparkling chrome. 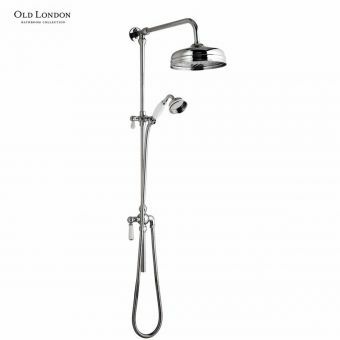 Showering is one of the most important aspects of the morning routine and Old London allows you to have a floor standing bath set with overhead shower in a roll top version or straightforward rectangular bath which can be installed with a matching bath screen to stop water overflowing onto the floor. 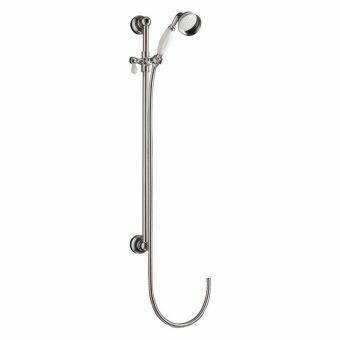 From a simple single handset to a bath filler with integrated hand and drench heads means they have every option you could desire. 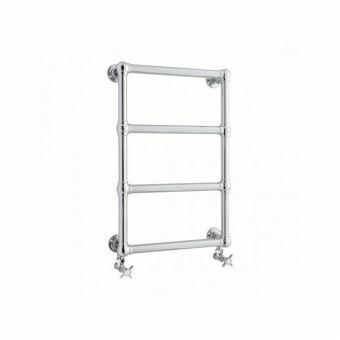 Integrated diverters feature on the more sophisticated models allowing bath or shower to be selected. 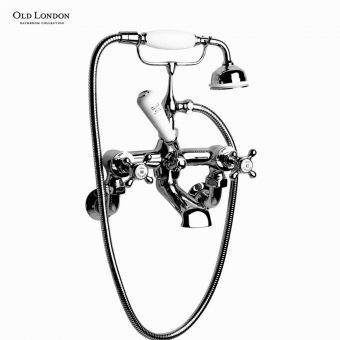 With retro styling being the new look for bathrooms, Bolton based manufacturer of Old London Bathrooms, offers a complete and authentic range of bathroom products which will grace any bathroom and give a genuine look and feel of bathrooms that used to be found in top hotels around the world, in a bygone era. 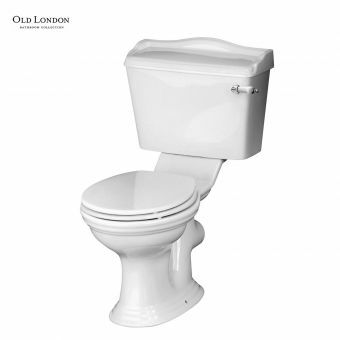 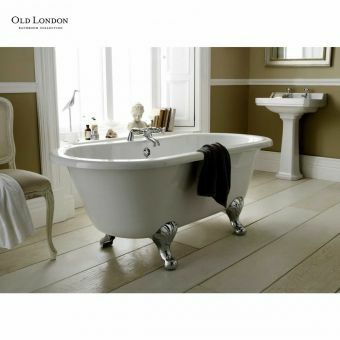 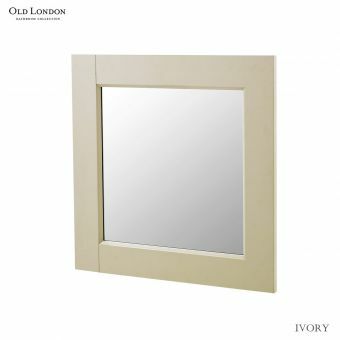 You can now achieve this authentic look when you choose items from the beautiful Old London Bathroom collection. 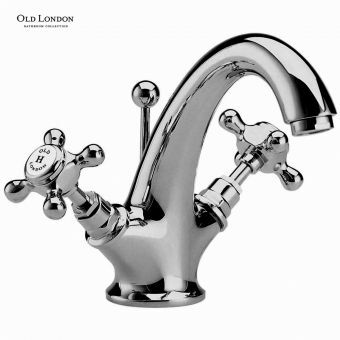 The products may look as though they have been from an era long past, but all these items are manufactured to the high standards using the latest production techniques. 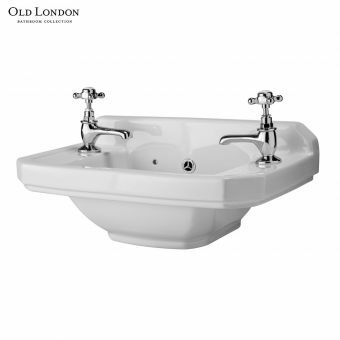 The collection includes ceramics, baths and brassware, plus a range of bathroom furniture which can only be described as stunning. 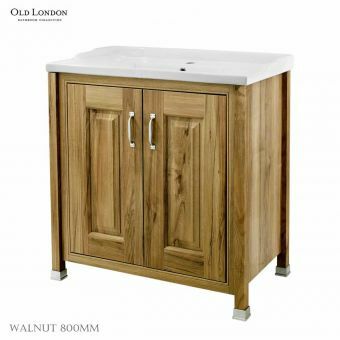 This furniture comes in a range of colours which includes Pistachio, Ivory, Stone Grey and Natural Walnut, allowing you to create and tailor a bathroom to your own requirement. 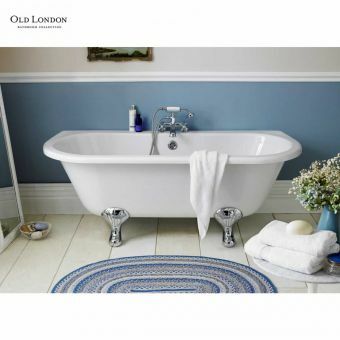 Free standing baths of the Old London Collection offers a choice of slipper and roll top designs, sure to be a focal point when entering the bathroom. 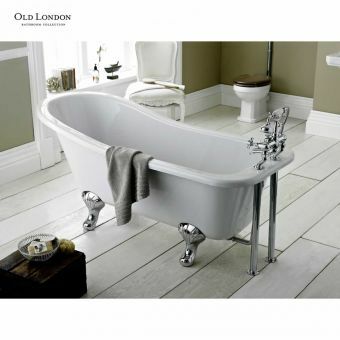 A long soak is ensured with the generous space of these baths. 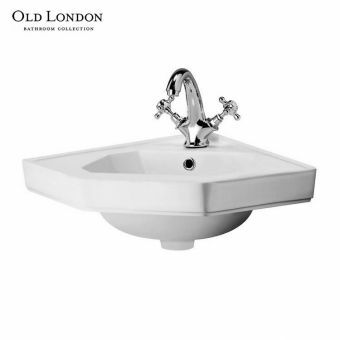 Basins in the Old London ceramic collection again offers a both one and two hole versions, with WC’s that can be low level or very authentic high level cisterns. 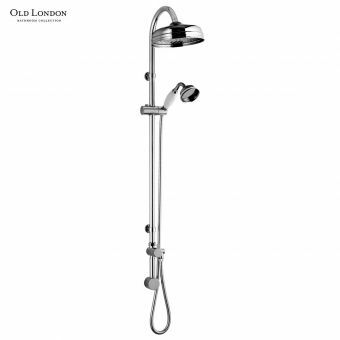 To illustrate the 21st century technology, the thermostatic showers, made here in the UK, incorporates patented anti-scald technology, behind that Victorian appearance.